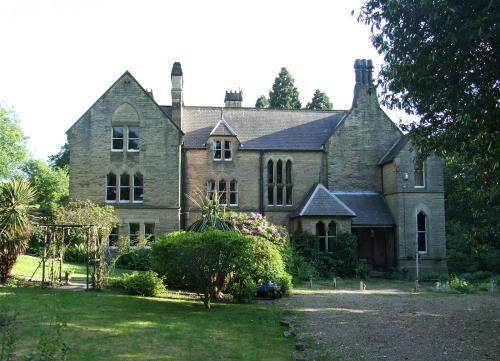 We are delighted to offer this spacious one / two bedroom ground floor apartment nested within the exclusive grounds of St Cuthberts House, just off Benfieldside Road, Shotley Bridge. Benefitting from gas central heating, it briefly comprises: breakfasting kitchen, utility room / bathroom, lounge / diner, and the master bedroom. The spare bedroom is situated immediately off the lounge, which can easily double up as a study or dining room. The apartment is accessed from its own external entrance. Ample parking is available and residents are at liberty to enjoy the 4½ acres of secluded private gardens surrounding the property. Ideally located close to all the local amenities of Shotley Bridge and nearby Consett, and is on the main bus route to Newcastle. Furnished and available immediately to a professional or discerning resident. Early viewing essential to appreciate this property.